Author: Ardizzone, Tony Set In . . . 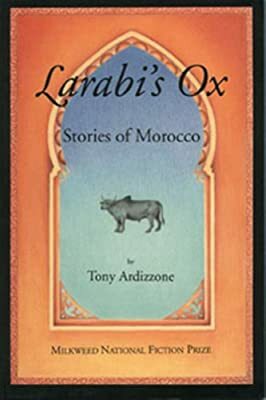 Description: Milkweed Editions is proud to announce the publication of Larabi's Ox: Stories of Morocco by Tony Ardizzone, the winner of the 1992 Milkweed National Fiction Prize. Gloria Naylor, author of The Women of Brewster Place, Bailey's Cafe, and Mama Day, acted as competition judge and has written the foreword. Larabi's Ox is a tapestry of interwoven stories that relates the tales of three Americans visiting Morocco for the first time. Sarah Rosen, traveling alone, is running away from a failed relationship; Peter Corvino, an American professor, is escaping from his own mediocrity; Henry Goodson is running toward his impending death from cancer. Morocco is strange, mysterious, colorful; the clash and interconnection between these travelers and the Islamic culture are the fabric of the collection.